Local sculptor Winslow Craig and social activist Dr Christopher Arif Bulkan are among four people in the region who will receive the Anthony N Sabga Caribbean Awards for Excellence (ANSCAFE) in 2017 for their stellar contributions in the arts and civil society. 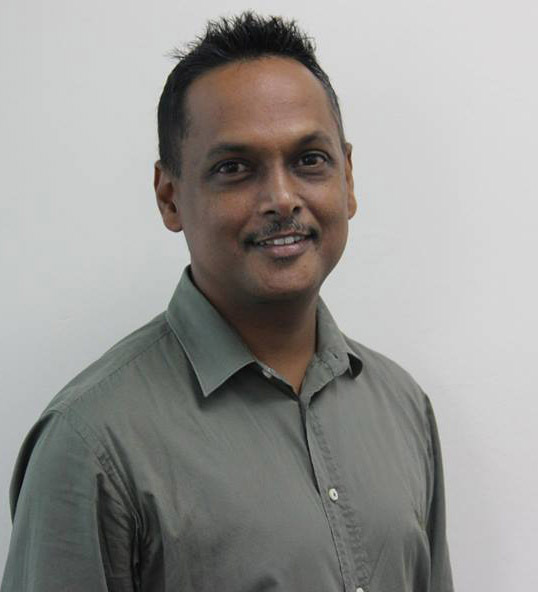 Craig is a lecturer in art at the University of Guyana and his work can be found in private collections through the region, in Guyanese institutions and international collections from New Zealand (Retribution II), China (The Unseen Helper) and Belize (Cutting Edge and The Watcher). He was also commissioned by Cable and Wireless to create a trophy for its 2000 cricket series, which was titled Willow and Leather. piece at age seven for the sum of $20. He was later accepted at the ER Burrowes School of Art for formal training and his graduation work, ‘Discovery’, was acquired by the Guyanese polymath Dr Denis Williams for the national collection. Thereafter, Craig was awarded a 1997 Commonwealth Foundation Fellowship in Arts and Craft which took him to the Christchurch Polytechnic School of Art and Design, New Zealand, where he created Retribution II. After this fellowship, he was selected to attend the International Sculpture Symposium in China in 2001, where he was the only artist representing the English-speaking Caribbean. With a focus on themes that explores spirituality, justice, gender issues, nature and the environment, Craig is known to manipulate mediums such as metal, wood, and bronze, and is known for his invention of a new medium: ‘sawdoue’ an amalgam of sawdust and glue which is placed on steel. His work, ‘Fighting for Global Peace,’ was featured in a documentary aired on CNN World Report in the aftermath of the Gulf War. Apart from many exhibitions in Guyana, his work has been shown in Haiti, Suriname, Trinidad & Tobago, the US, Venezuela, and China. He is regarded as one of the leading sculptors in Guyana and has been commissioned by various regional institutions, like the Bank of Guyana, and the Commonwealth Youth Programme. One of his pieces, commissioned by the Government of Guyana, was presented to the Walter Reed Memorial Hospital in the US, where Guyanese president Cheddi Jagan was treated. Craig won the Guyana Visual Arts Competition (Sculpture) in 2014 and was recognised with a Guyana National Award, the Medal of Service in 2002. He continues to work and teach in Guyana. Bulkan is a lawyer by profession and functions as a senior lecturer at the Faculty of Law, University of the West Indies (UWI), St Augustine. He has been at the forefront of promoting indigenous, environmental and human rights regionally through legal interventions, training and advocacy. In 2009, along with Tracy Robinson and Douglas Mendes, he co-founded the UWI Rights Advocacy Project (U-RAP) which provides pro bono legal services, research and advocacy on human rights issues across various Caribbean territories. U-RAP has commenced a collaboration with the Caribbean Vulnerable Communities Coalition (CVC), which will include, among other activities, training of lawyers and human rights defenders to better respond to the needs of these communities. Having worked in Guyana as an attorney from 1999 to 2004, Bulkan has been described as one of the few experts on the emerging legal framework dealing with the rights of indigenous people, which has regional and extra-regional implications. He is also the author of the publication The Survival of Indigenous Rights in Guyana and has provided training and education on rights to the Amerindian People’s Association (APA), the Guyana Marine Turtle Conservation Society of Guyana (GMTCS) and the Iwokrama International Centre for Rainforest Conservation and Development. 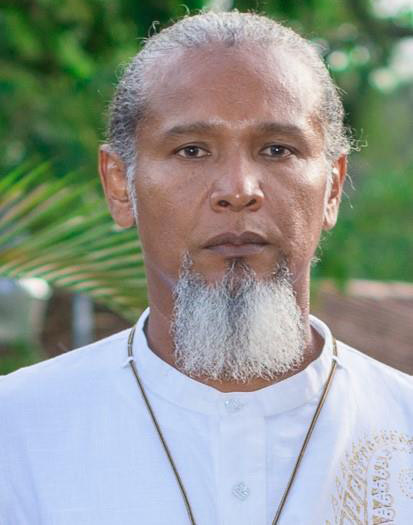 Additionally, in April 2016, Bulkan functioned as Conference Chair of a regional conference on issues affecting Indigenous Peoples, held in Belize City, Belize. He has worked tirelessly to establish and defend the rights of the First Peoples, the environment and health in various ways. Bulkan was also one of the initiators of two ground-breaking cases on gender rights in the Caribbean: Caleb Orozco vs Attorney General in Belize, and McEwan, Clarke, Fraser, Persaud and SASOD vs Attorney General of Guyana. The former case was successful on all counts in August 2016, while in the latter the acting Chief Justice of Guyana ruled in September 2013 that cross dressing, as an expression of one’s gender identity, was not illegal. Both cases are now at varying stages in the appeal process. In addition to his advocacy work, he has also published widely in books, refereed journals, and even newspapers. He is a contributor to the Stabroek News’ In the Diaspora weekly feature. The other awardees are Shadel Nyack Compton of Grenada for contributions in the area of Entrepreneurship and Kwame Ryan of Trinidad & Tobago for his contributions in the Arts and Letters. Established in 2005 by the ANSA McAL Foundation, ANSCAFE is said to be the English-speaking Caribbean’s leading recognition programme in Arts, Sciences, and Public and Civic Work. The goal of ANSCAFE is to recognize significant Caribbean achievement, to encourage and to support the pursuit of excellence by Caribbean persons, for the benefit of the region. It is privately funded, free of political and other influence, and offers tangible, significant benefit to the Laureates. It is the most noteworthy philanthropic initiative by a Caribbean organization in recent times. The awards began as a biennial event in 2006, went annual between 2010 and 2015, and thereafter returned to a biennial cycle. So far, 27 laureates have been named in the four categories.